are you ready to join the newest dinner club in Prescott? 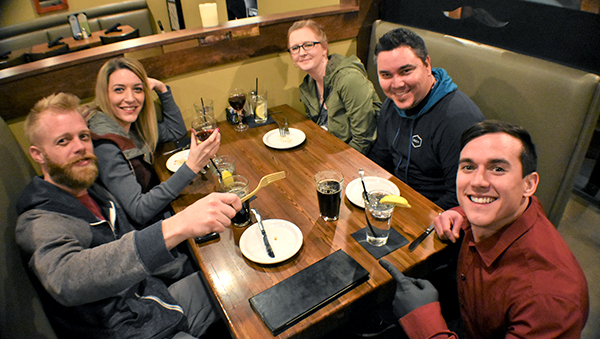 We moustache you a question, are you ready to join the newest dinner club in Prescott? As a gesture of thanks to our loyal guests that visit us frequently for Lunch and/or Dinner, we have chosen to express our gratitude with a personal name plaque above select tables. We include only the first name of each person on these brass plates. Speak with your server for more info!